Sports promoter Eddie Hearn tweeted: "Gutted to confirm that @ant_crolla is in hospital with a head and ankle injury after confronting burglars at/near his property." Crolla, 28, from Manchester - known as "Million Dollar" - has fought in the super featherweight and lightweight divisions and is the current holder of the WBO inter-continental lightweight title after beating Gavin Rees. Crolla was due to face Richar Abril from Cuba for the WBA world lightweight title in Manchester on January 23 - but Mr Hearn tweeted that the fight was off. He said: "Anthony is in a stable condition in Oldham hospital. Unfortunately the Jan 23rd fight is off but concerns right now are with Ant and family." He added: "You ask anyone in boxing doubt you could find a nicer kid than Crolla, absolutely gutted for him." 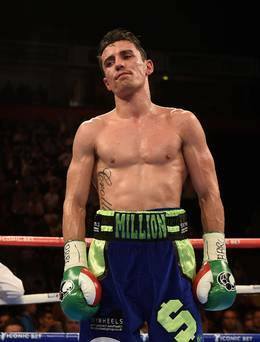 Crolla had said about the forthcoming fight: "To have the world title shot in Manchester is a huge factor. "Without wanting to sound cheesy, it doesn't get any bigger than that. I am a Manchester lad so to be fighting in Manchester for a world title, I couldn't ask for anything more and the only way it could get better than that is to go out there and win it."